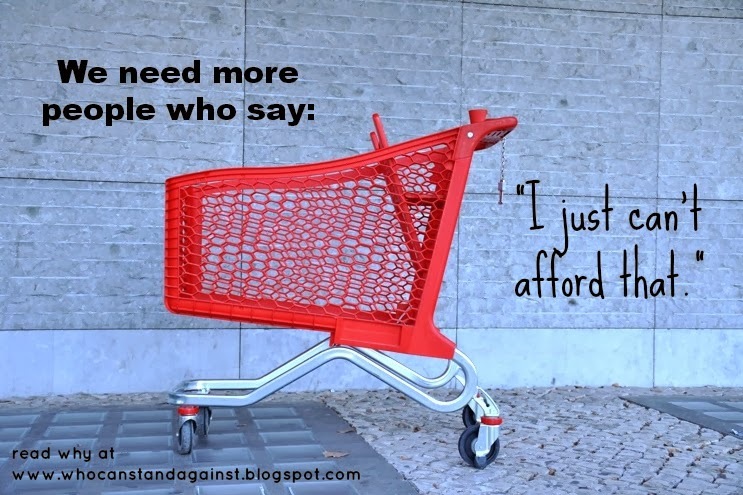 WHO CAN STAND: We Need More People To Say "We Just Can't Afford That!" We could use a few politicians who tell us the truth as well, instead of trying to buy votes by spending money they do not have... and putting whole countries into debt and ruining the economy. Restaurant date nights are one for us too - as well as new clothes that aren't an absolutely necessity. Thanks for sharing, Sarah! I realized recently what a blessing it is to prepare and have home cooked meals - its easy to take for granted, or even seem like a burden, and yet so many people are not so blessed. I couldn't agree more...if we all learned to so no more, the national debt wouldn't be so high! Learning to determine if something new is a "want" or a "need" goes a long way to figuring out if we can really afford something new. Great post! Thanks Tracy! And it is so easy to just assume many of our "wants" are "needs" if we don't think about it! Thank you so much for this! Your list looks identical to mine :) The one I have the most trouble with recently is the house. 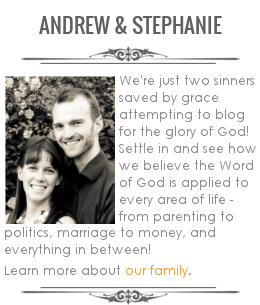 We have been married 13 years, have 4 kids and have always owned. Until last year when we had a financial crisis, had to sell our home before we lost it (I am so thankful that it sold!) and now we are renting. We are in recovery mode right now and have changed A LOT of our habits so that if we ever experience crisis like that again, we won't fall as hard, but I have really been struggling with the fact that we are renting and don't have our own home right now. It's feels odd to me, like I just can't settle in and feel at home because it's not "mine." I feel like everyone else I know "owns" their own home, so it really helped me to hear from another family that rents right now. I loved this!! After just adopting our little boy last July, we were left broke. Health issues with him and the constant break down of things kept us broke. We even had to say we couldn't afford Christmas. Our six year old has actually grown so much from this and looks at things in a brand new light!